Ever since Nicolo Zaniolo broke onto the scene at Roma, it’s Arsenal who appear to have been the most interested out of all the Premier League sides. After all, they were in the stadium when he had his first big game for the Serie A side, there to watch Cengiz Ünder, yet they seem to be all but forgotten in the Italian press these days, making room for Chelsea to sneak in. The attacking midfielder is now being followed by a number of sides, but Gazzetta dello Sport believe three are doing so ‘especially’: Juventus, Real Madrid and the Blues. Cristiano Ronaldo’s former side certainly know all about Zaniolo, having faced him in the Champions League this season, while his current team are always in the mix for more Italian recruits, seemingly trying to follow Bayern Munich’s method of plucking talent from teams around both make themselves stronger while weakening the opposition. As for Chelsea, they certainly won’t look as attractive now as they did prior to this weekend’s 6-0 drubbing at the hands of Manchester City, and while Maurizio Sarri’s job shouldn’t be at risk just yet, it might be should this run of form continue. 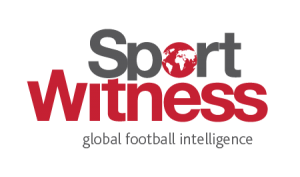 Without the Italian at the helm, will Zaniolo still be of interest to Roman Abramovich and Marina Granovskaia? 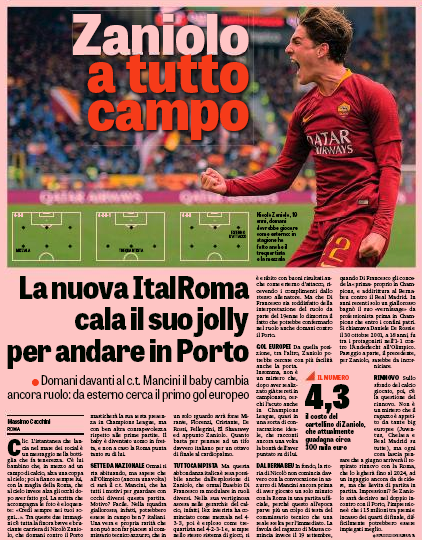 Roma know a new contract would put any transfer stories to bed, at least for the next few months, and a good couple of results against Porto in the Champions League could help them get the money to ensure they keep their starlet. The new deal is expected to arrive in June, as they know there’s no rush, and it seems Zaniolo is very comfortable where he currently is. This might be wishful thinking by the interested sides.